Are you heading home for the holidays? Many people enjoy the nostalgia associated with visiting family and friends during the holiday season, but as your parents get older, it can be sad and stressful to see the changes brought about by age. You may have questions about whether your mom or dad needs help or whether they are ready for professional senior care. Ohio residents also have to consider the difficulties of Ohio’s snowy winters such as increased fall risks, dangerous driving conditions, and freezing temperatures. Does Your Loved One Need Senior Care? The house isn’t as clean as usual. Perhaps your dad hasn’t taken out the trash in too long or your usually fastidious mother hasn’t done the dishes in several days. These could be signs of reduced physical ability or mild cognitive impairment. The heater hasn’t been turned on during a frosty Ohio winter. Your loved one may have failed to pay the electric bill or purchased enough fuel for the furnace. Maybe service has been suspended at some point. Forgetfulness of this kind may indicate the early stages of Alzheimer’s disease or dementia. Food in the refrigerator and pantry is expired or stale. As your mom or dad ages, they may no longer be making good decisions about food safety or are less able to drive to the grocery store. They may be cutting corners or unable to plan for nutritious meals. Cooking may be difficult, and your family member may benefit from help with meal planning and preparation. Your loved one shows signs of poor hygiene. Forgetting to brush teeth, shower, or comb hair could be a sign of cognitive impairment, or it may simply indicate that your loved one has reduced mobility. Do you know the approximate time (without looking at a clock)? Can you remember the person I introduced you to earlier? Take note of other behaviors that may indicate a failing memory such as telling the same story over and over again, forgetting the names of family members or close friends, and forgetting recent conversations. You may also notice changes in mood or personality. Increased aggression and suspicion is a common symptom of Alzheimer’s disease. You may also notice moodiness or sadness, which could be signs of depression. If you notice any of these signs while visiting your senior loved one this holiday season, remember that there is help available. 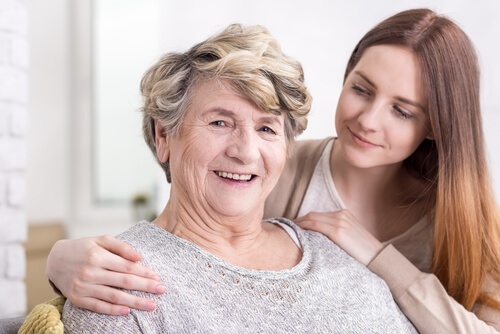 Home care offers a full range of services to keep your mom or dad safe, healthy, and comfortable, even when they can no longer perform daily tasks and routines. The holidays should be a time of joy and family togetherness. 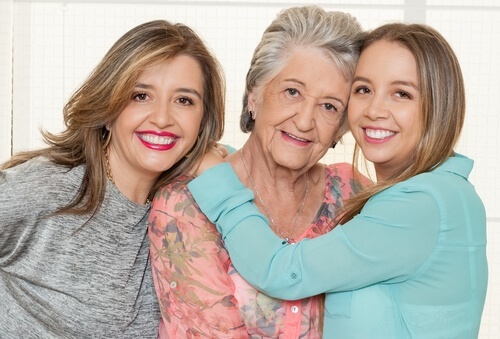 As you plan your family gatherings this season, consider whether your aging loved one needs the additional assistance offered by senior care. Ohio winters present significant risks for the elderly, but with the help of a compassionate caregiver, you can be sure your loved one remains safe and comfortable this holiday season. To find out more about how home care can help your senior mom or dad, download our FREE Guide to Home Care.